Parkwood’s location means it is a very complex development but it will eventually be home to 13,000 people. Photo: Yass Valley Shire Council. Yass Valley Shire Council has opened community consultation on the Parkwood housing proposal, the NSW component of the Ginninderry residential development that straddles the NSW-ACT border. The Corkhill family’s Riverview Projects (ACT) Pty Limited and local landowners want to build about 5000 dwellings in the Yass Valley to accommodate 13,000 people on a 600-hectare site, of which about 387 hectares is slated for urban development and 213 hectares for conservation purposes adjacent to Murrumbidgee River and Ginninderra Creek. The entire cross-border Ginninderry project is a joint development by Riverview and the ACT Government to be rolled out over 30 to 40 years, entailing 11,500 dwellings housing 30,000 people, with the ACT providing most of the urban services. The Council is seeking to prepare a new local environmental plan (LEP) to rezone land for urban development on the boundary of the ACT and the NSW border within Yass Valley Shire. 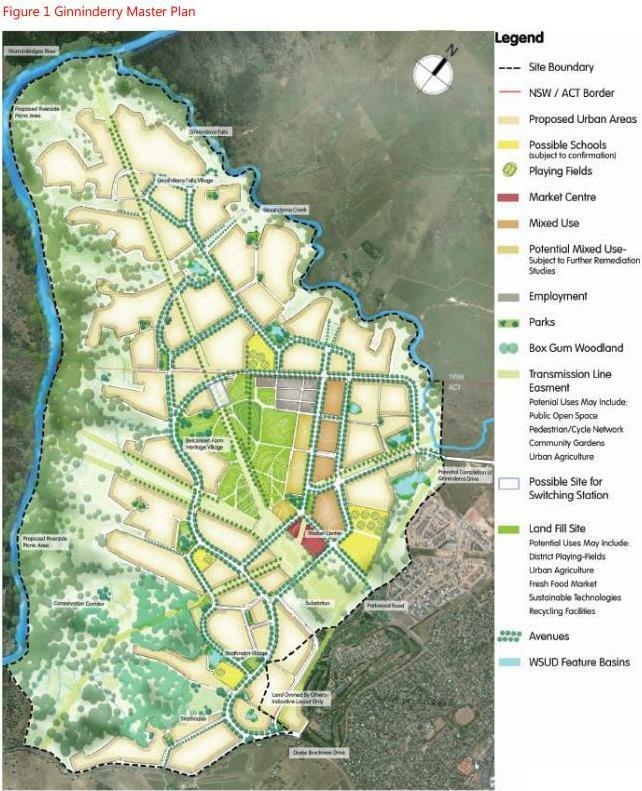 Yass Valley Mayor, Rowena Abbey said Parkwood was finally able to progress into the formal consultation phase, which would provide the community and NSW and ACT agencies the opportunity to formally comment on the proposal. “This is a very complex development proposal, due to its cross-border location and environmental significance, and while there are still many issues to resolve, this consultation process will aim to address any community concerns,” she said. The applicant has prepared a cross-border servicing and infrastructure report and a strategic bushfire study for the development, as well as an ecological and Aboriginal cultural assessment of the site. All of the work completed to date will be considered by NSW and ACT agencies, as part of the formal consultation process. A revised planning proposal was approved last year which reduced the footprint of urban development in the R1 General Residential Zone from 394 ha to 387 ha. It also applies both an E3 Environmental Management Zone (25 ha) and E2 Environmental Conservation Zone (188 ha) to environmentally sensitive areas, and an SP1 Special Activities Zone (1 ha) to the Ginninderra Falls Precinct near Ginninderra Falls, to cater for recreation areas, tourism, community buildings and emergency facilities. 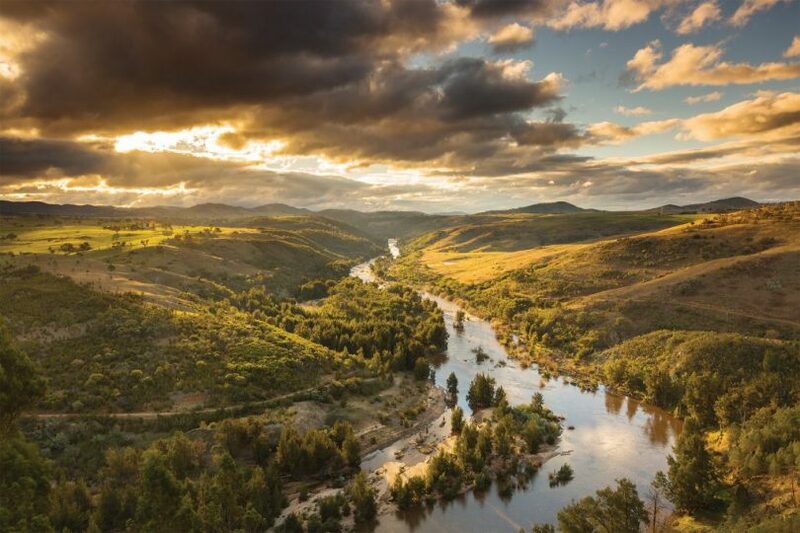 It includes additional LEP provisions to manage environmentally sensitive areas, and a cross-border ‘Services and Infrastructure Report’ to address cross-border servicing between NSW and the ACT. The Planning Proposal seeks the rezoning of land from the current RU1 Primary Production and E3 Environmental Management zones to Parkwood site-specific R1 General Residential; E2 Environmental Conservation, E3 Environmental Management and SP1 Special Activities zones; and the application of a new principal LEP to the land. A 3D model of the development has been set up at Yass Library to assist the community. Submissions close on Friday 26 April 2019.